Laser dentistry is one of the latest advancements in dental technology. 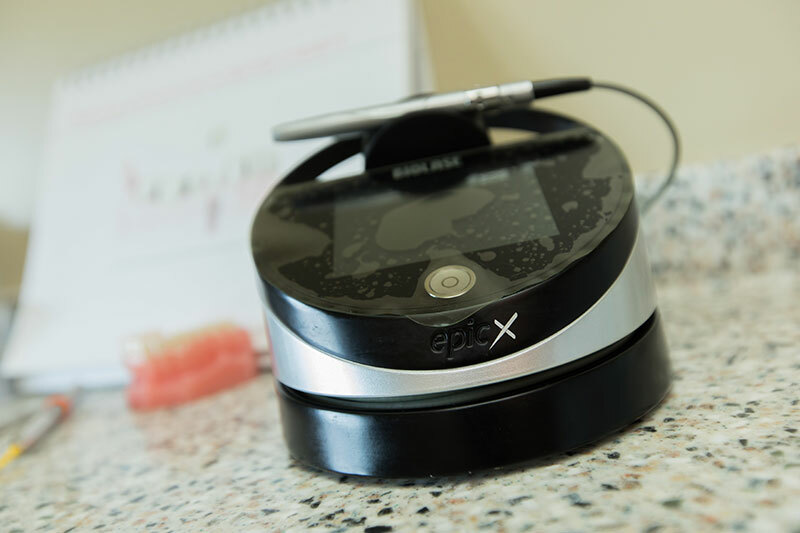 Dental lasers can treat a wide range of dental problems from cavities to gum disease. With laser dentistry, the dentist has superior control over the treatment and can work with precise tissue areas without causing any damage to the surrounding tissues. Laser dentistry makes dental work easier, more precise, and more comfortable for the patient. Who Should Get Laser Dentistry? Dental lasers are approved by the FDA and are safe to use on both adults and children. If you are an anxious patient, your poor oral health requires frequent dental visits, or you want a dental experience that is even safer and more comfortable, you might be a good candidate for laser dentistry. Because dental lasers are an alternative to drills, scalpels, and other similar tools, laser dentistry can be used in many dental treatments. These lasers direct an energy beam onto problem areas and allow for efficient treatment of decayed teeth, enamel, and gums. Some of the uses of laser dentistry include early cavity detection, tooth preparation for dental fillings, elimination of bacteria, reshaping gum tissue (crown lengthening), improving a gummy smile, teeth whitening, and even treating tooth sensitivity. Dental lasers are categorized as hard tissue lasers and soft tissue lasers. Hard tissue lasers can make precise cuts into teeth due to their specific laser wavelength. These lasers are usually used to prepare or shape teeth for bonding, repair cavities, or remove and repair fillings. Soft tissue lasers are used effectively on gum tissue (soft tissue) and can treat gum disease, destroy bacteria, and stimulate soft tissue regeneration. To learn more about laser dentistry treatments, call (610) 746-0488 today.